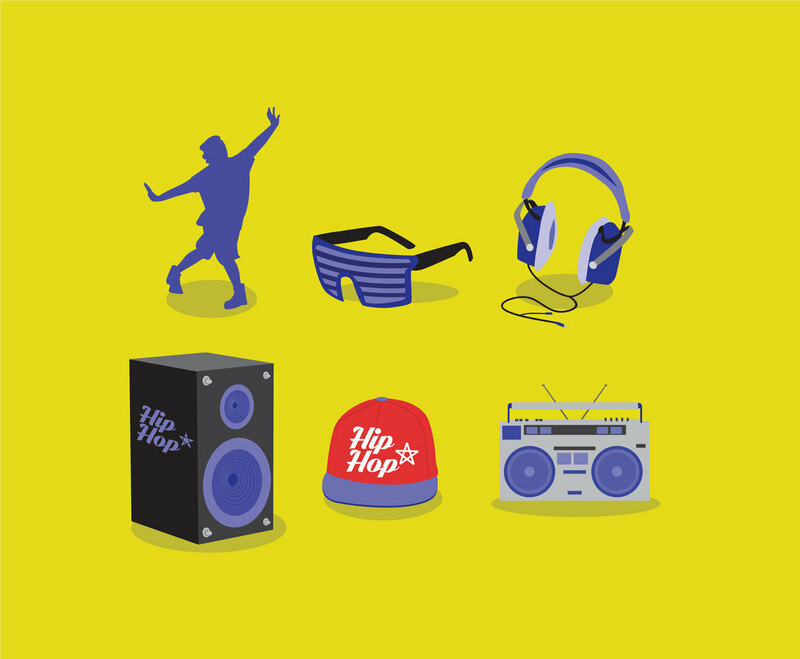 Here is a set of hip hop pictorial music vector that you can download for free. The zipped folder contains a hip hop dancer, stylish & fashionable sunrays, headphones, a speaker and a cap with hip hop label also a stereo boombox set. You can use one of the design element for hip hop music performance or event poster and flyers.